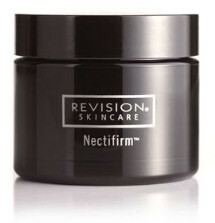 Nectifirm - the one and only cream specificaly formulated for the neck area. Has all the ingredients needed for tightening, lifting and reducing lines of the neck area as well your baggy and double chin. Try it cause its effects are real. The nectifirm cream is RM390 for a 50ml jar. Lasts about 3 months. Onto my second jar now. Definitely reduce my chin that's just starting to sag. If you need delivery,we can do so. Call Rozai our clinic manager at 03-79601788 for details.